When considering what trade tent you want to buy the first and foremost thing that you need to work out is the size of tent you need. 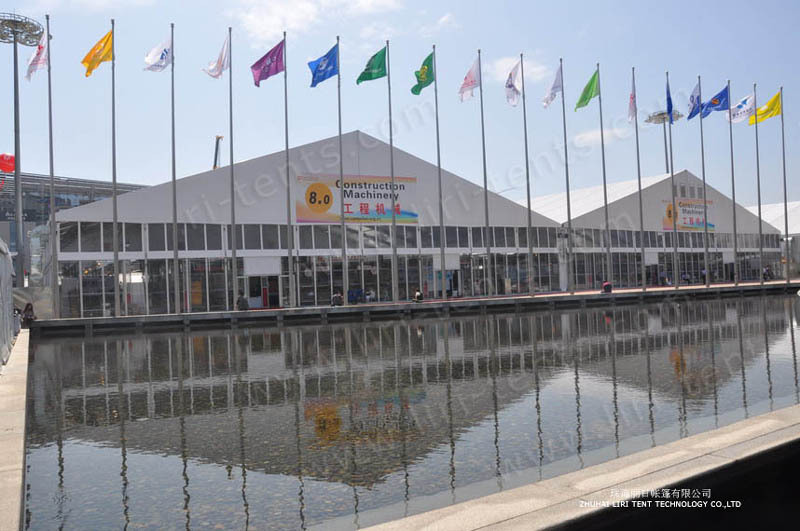 The sizs of trade show tent is very flexible, whether it is big or large, you can based on your need and think about that whether in the future you will need the big one. And then you need to think about the structure of the tent, what accessories you need. If you have enough budget and hope the tent to be more luxury, you can fix the tent with glass walls or the ABS walls, or you can fix with the white pvc sidewalls only, that will help you to save the cost. While for the strcture, it needs to be strong enough and suitable to the extreme weather in your country, such as heavy snow and rains, the tents need the special deisgn. 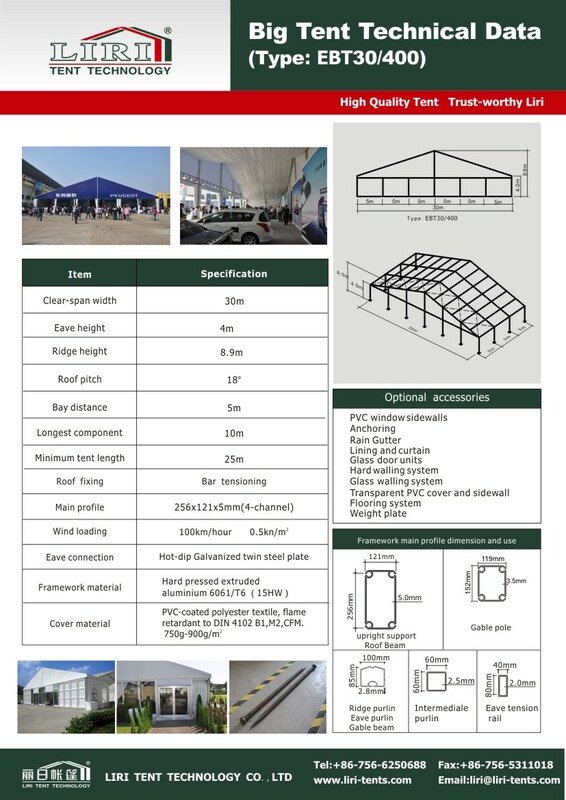 For the trade show tent, 30m clear span tent will be very popular, with the 256x121x5mm main profile, 4m side height, which is strong and durable.